Medium sized corner reception counter with 4 high gloss front finishes. 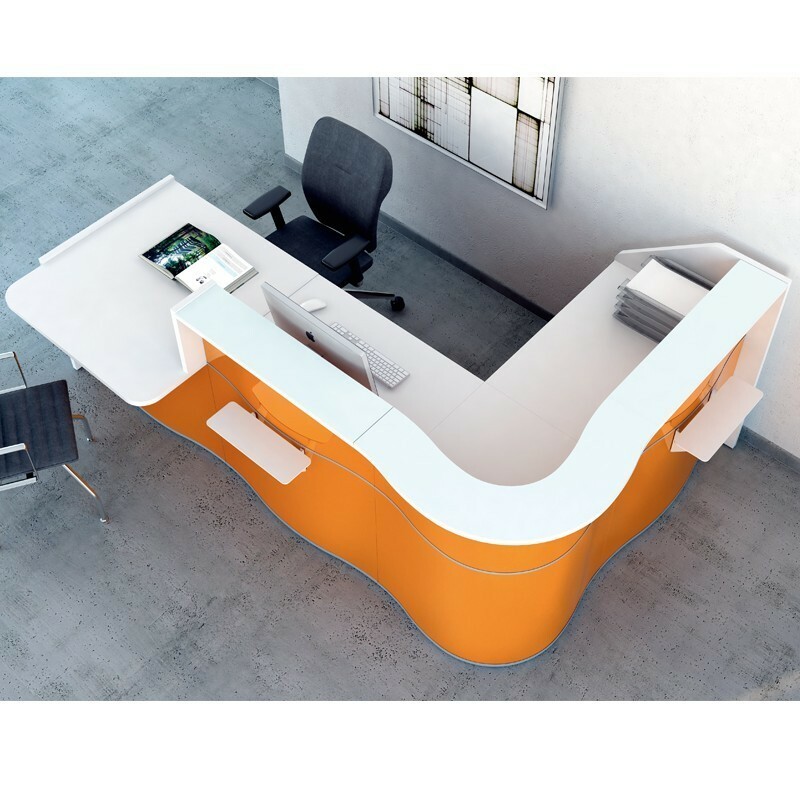 The G8 Surf range of reception counters feature vibrant colours. Modular in nature this medium sized reception setup is fantastic choice for multiple staff and a regular stream of visitors. Complete with visitor counter on one end, available in a left or right handed setup.